This post is contributed by Chad Rubin, CEO of Skubana. Skubana is an all-in-one ERP system that seamlessly integrates with ecommerce businesses no matter how they fulfill, including all 3PLs with a click of a button. This post was first published on Skubana’s blog: The 3PL Automation That Made Millions for this E-Commerce Business. Whether you’re experiencing it now or later, as an online seller, there will be a tipping point when your ecommerce order transaction volume has increased beyond your team’s current capabilities. As your business grows, so does the cost and complexity of running it. The champagne problem: While this is a good sign for your online business’s revenue, with increased scale comes stock-outs, exhausted warehouse employees and ultimately missed sales. You could buy/rent a larger warehouse space, and hire more employees. Or, you could outsource your warehouse pick and pack fulfillment to a 3PL (third party logistics) company. In this post we will be discussing what a 3PL is, the advantages and disadvantages of utilizing a 3PL, an and in-depth analysis of my home appliance filter and accessory business, Crucial Vacuum and our transition to a 3PL. A third party logistics provider (3PL) is an outsourced warehouse that provides you with most or all logistics services for your online business such as: picking, packing, warehousing, and shipping. Fulfillment and storage becomes a service provided to your business; therefore they have their own operation but follow the guidelines you give them. What are the advantages of using a 3PL? Reduction in long-term expenses that includes employee benefits, salaries, insurance, payroll expenses, warehouse rental/maintenance and transportation costs. You’ll get access to better negotiated shipping rates with shipping carriers than going at it alone since the 3PL aggregates volume (this is important since shipping costs take a huge chunk of the ecommerce profits). Expand and contract your allocated 3PL warehouse space according to your business needs – if seasonality plays a factor in your ecommerce you can easily adjust the space/services a 3PL provides. Since this is their dedicated business, you could expect the utmost professional and efficient service that has a more defined quality assurance for your ecommerce business and its success. Alleviate finances instead of tying up cash flow in infrastructure – redeploy and invest into your online products marketing and building your brand. Focus on your core competency – having a firm handle on your logistics frees up your time and resources to focus on other aspects of your business such as customer service, web development, listing optimization and marketing. Take back your time to do more important things – often forgotten intangibles – Save a ton of time, reduce headaches, go for a jog in the park or take a nap on the hammock. What are the disadvantages of using a 3PL? Loss of hands-on access on your inventory – sometimes it’s nice to see and touch the products you sell! 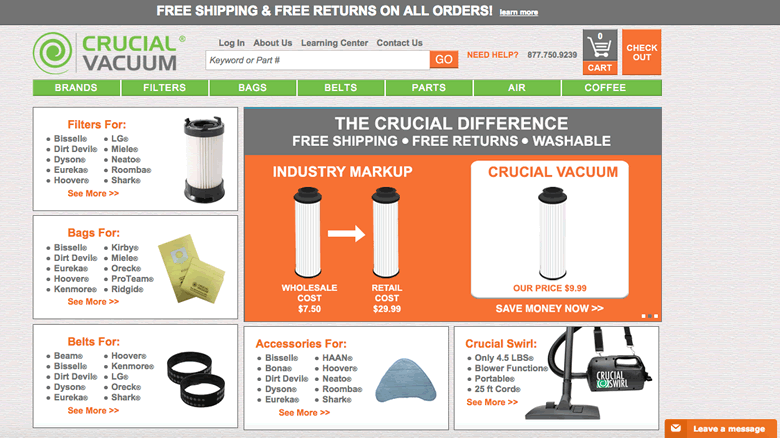 Crucial Vacuum is an ecommerce business I founded in 2008 that designs and manufactures replacement parts and accessories for a wide variety of popular vacuum brands. Coming from humble beginnings Crucial has grown into a multi-million dollar a year business selling on several channels including eBay, Amazon, Newegg, Rakuten, Sears, our own storefront and more. Fulfilling over 60,000 orders per month Crucial, like many other online sellers, relies heavily on an optimized fulfillment and logistics workflow to ensure customer satisfaction and retention. But how do you go about maintaining that level of operation? When Crucial was first starting out we fulfilled orders ourselves, first from my Upper West Side Apartment, then Harlem until we moved to a larger warehouse in Little Ferry, NJ. The concept of a SKU was non-existent and disorganization, overselling across multiple channels and high mistakes were very, very frequent. At the time I ran my business using ShipStation. It was a big mistake letting a “shipping tool” run my ecommerce business. There was no time to focus on long-term growth. It became a matter of putting out daily fires and struggling to keep up with the business. Most days I would focus on picking and packing as opposed to focusing my efforts on creating optimized listings, marketing effectively and building a brand people would trust. I was working IN my business not ON it. A change had to be made, because the daily struggle of keeping up with my company’s growth became too much to bear. Work/life balance was non-existent as workdays became longer and longer. The decision to utilize a 3PL was not instantaneous as one may hope. There’s no designated point in your business where you should switch, however the longer your business has been around, the harder the transition typically is. My business, Crucial Vacuum, made the switch late in its life and because of it, the overall transition took months to complete. While owning a warehouse and having employees did cost a significant amount of money, it’s the business’s growth that became alarming. We needed to have more employees, more warehouse space and a lot of dedicated time for inventory handling, when I wished to focus on marketing and selling our products. 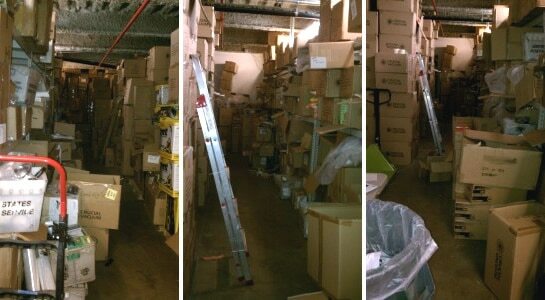 I needed the warehouse to support my business not prevent it from growth. This is when I discovered a 3PL-warehousing firm located just 30 minutes away from Crucial Vacuum’s offices. This close proximity became a huge contributing factor in the selection of a 3PL-warehousing firm. This allowed me to drive to the warehouse, inspect our products, and instruct the 3PL’s employees on my preference of product shipping. 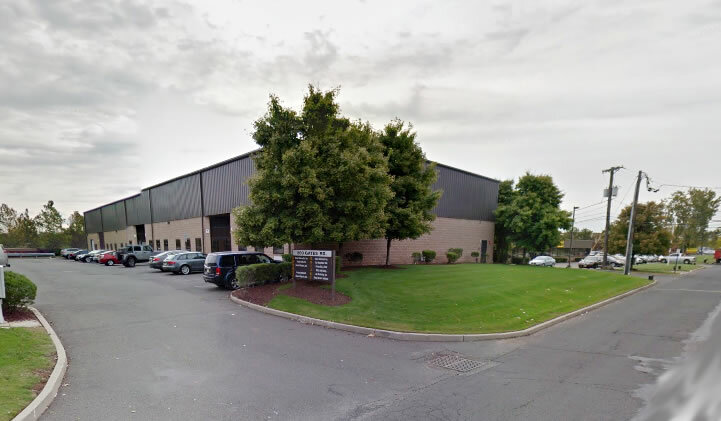 Due to the outsourced warehouse being a smaller boutique player, the 3PL and Crucial Vacuum grew together, and provided constructive criticism to benefit each other. While it was cheaper to own the warehouse and employ the staff initially, switching to a 3PL allowed Crucial Vacuum to grow further than just the one warehouse, allowing us to increase inventory size, ship orders overseas and focus on building a brand. While using an in-house warehouse, as time goes by and your business grows, there’ll be more costs in order to fulfill the higher order volume. Costs include more employees, salary negotiations for higher pay, and benefits for the new employees. While using a 3PL, the cost initially will be high, but there would be less costs as your business grows allowing you to negotiate lower rates since your shipping volume is increasing. One of the most significant changes we’ve seen since switching over to a 3PL, is our return rate. Within a year we went from having a return rate of 10% to having a rate of 0.2% . It’s incredible. While the return rate was dropping, Crucial Vacuum’s order volume was growing tremendously. The gray line of the graph represents the amount of emails sent to customers with issues from their orders from before the 3PL implementation (August 2013), while the green line represents post-3PL (August 2015). However, even with the highly increased order volume post-3PL, email correspondence has decreased nearly 28%, because of the efficient pick and packing of the 3PL. By eliminating warehouse management, I had a lot more time to focus on marketing and product expansion. Now my business has grown much larger than before. 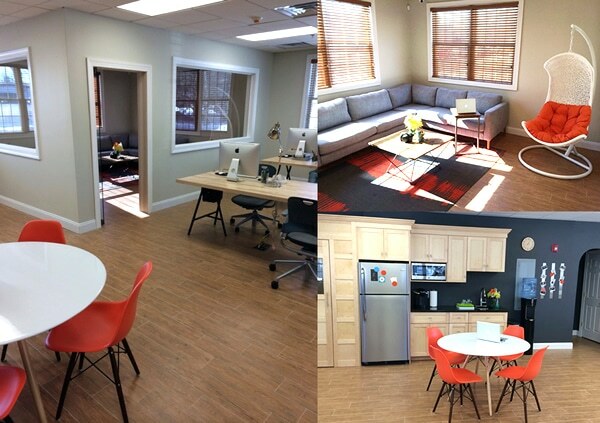 With the focus on Crucial Vacuum’s brand, marketing and product line, Crucial Vacuum moved to an awesome new office without a disorganized warehouse next door. For me and Crucial Vacuum, transitioning to a 3PL warehousing firm provided the opportunity to truly grow as a business. Going back to owning a warehouse is no longer on the roadmap as our 3PL partner grows as a business alongside us. Should you consider going to a 3PL? 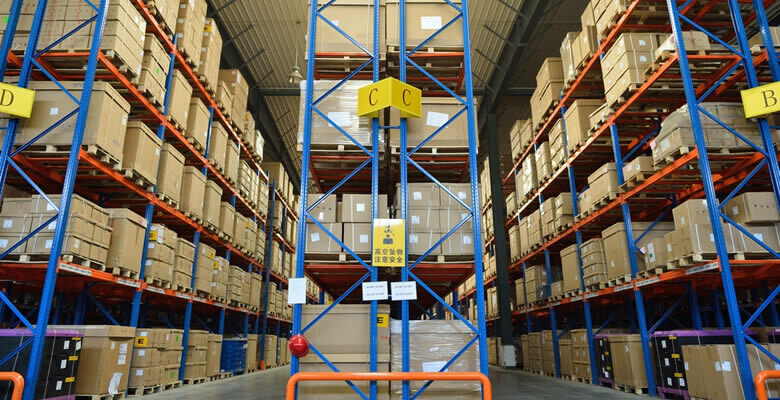 3PL warehousing is most useful to businesses that are either new, on the smaller side, or have experienced recent growth and are looking to further expand down the line and optimize. From shipping your inventory out to the warehouse to the inventory reports from the 3PL firm, this transferring process can take months to even a year depending on your set up and size..
What would the downtime be for my business? Do they fulfill from multiple locations on either coast? Do they have customers that sell on the same sales channels that you do? Does their warehouse experience flooding? Can they offer my customers same day shipping? Is there a contract minimum? How much space can they offer? Is there room to grow and scale? What technologies and services do they have in place to help my business? Are they capable of syncing up with an FTP? Can they handle FBA preparations? Are there referrals you can contact? Are you billed per item or per hour for picking/packing? Are there peak periods that prevent them from fulfilling in 1-day? Do you get discounts as you scale? Can their fulfillment team provide real-time bundling and kitting for your order level? How do they handle returns? What’s their error rate? Are orders fulfilled accurately and on time? Consider all that has been discussed in this article and make your decision from there with the right questions and research. In the case of Crucial Vacuum this synergetic relationship proves that a 3PL with your ecommerce’s best interests in mind is an absolute solution to ensuring that you don’t work IN your business, but rather work ON your business to encourage future growth.